Made from thick vinyl, RV Awnings Mart replacement fabrics can withstand the elements for years. We back our awning replacement fabrics with a 3-year warranty. You can't find a better awning replacement. Why pay the high prices associated with name-brand manufacturers? Our RV awning fabric fits top brands of awnings, is more durable, and costs less. We stay dedicated to serving our clients and offering the best RV Awning replacement fabric and products at the best possible price. Enjoy privacy and comfort with RV Awnings Mart Accessories. Order an Awning Sun Shade or Misting System and keep cool during those summer nights. Located in the RV capital of the world, Elkhart, Indiana, RVawningsMart.com offers quality RV awning fabric, durable hardware replacement parts, RV Awning misting systems, and RV awning LED lights at savings of 40% compare to our online competitors. 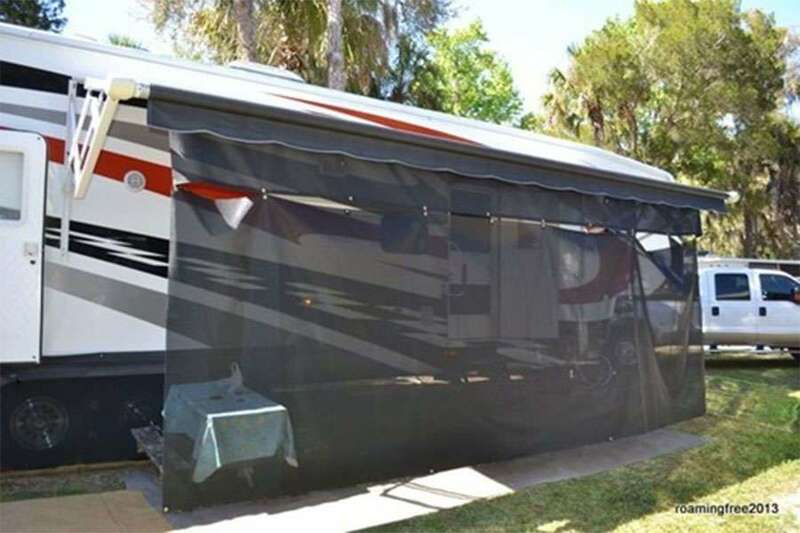 Replace your old, worn-out awning and customize the look of your RV with Sun-Wave™ brand patio awning fabric. Sun-Wave™ awning replacement fabric is made of DURABLE 15 oz. VINYL with heavy duty 1000 denier 16 oz. weatherguard.We are committed to offering the LOWEST possible prices on our products with a 3-YEAR limited warranty on the awnings and LIFE-TIME warranty on hardware.